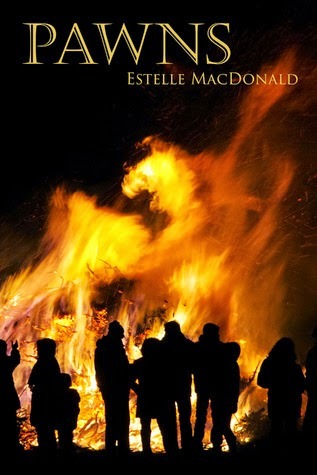 Leslie, the fifteen-year-old red-haired spitfire, starts life the daughter of nameless, uncaring parents. Abandoned at the side of the road, she stands shivering, with no skills beyond knowing how to pace her way through weeks of starvation. A group of runaways take her in, led by a particularly charming, strange boy. They take her in, giving her a chance at a new start with a full belly and a place to sleep - but nothing comes for free. How will she survive her new life, with her options slowly disappearing as this fateful night wears on? In the novella, Pawns - a prequel to Rook, the first book in the Timeless Games series - we find out more about Leslie, who was a character I despised in Rook. Here I find out she's got to be in the running for worst parent ever. Her mother and father are terrible, horrible people, especially as parents. I can't describe just how awful they are to their only child. Pawns starts out with her mother calling her a "needy little snot," which was the very first line. I couldn't help myself - I had a strong desire to slap her mom! Leslie's background fleshed out explains a lot about her, and I understand her much more than I did in Rook. She was jealous and willing to murder in that book, and now I know why with the events that happen in this novella. I think Rook should be read before Pawns - my experience with Leslie might have been altered dramatically had I read Pawns first, and I wouldn't want it to be different than what it was for me. She's meant to be hated in Rook for good reason. I wonder what the next book will be like, and with this surprising ending, I'm looking forward to more in the Timeless Games series! Click here to read my review of Rook!